Special Issue: Football, Politics and Popular Culture in Managing Sport and Leisure. 2Cardiff University, School of Music, Cardiff, UK. 3Manchester Metropolitan University, School of Business, Manchester, UK. 4Leeds Beckett University, Carnegie School of Sport, Leeds, UK. 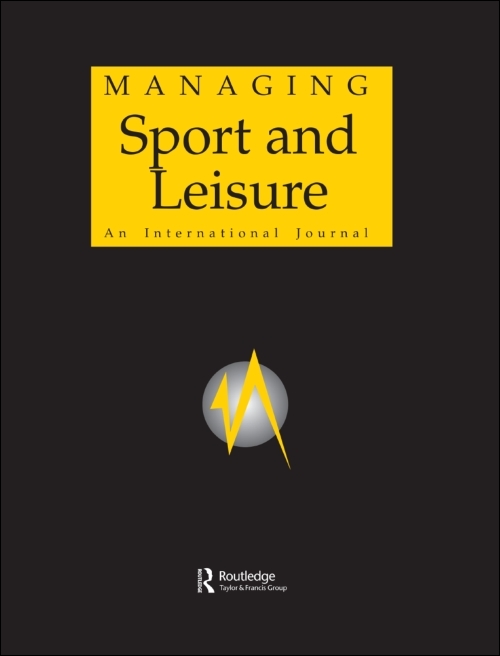 Managing Sport and Leisure is a refereed journal that publishes high quality research articles to inform and stimulate discussions relevant to sport and leisure management globally. The journal is committed to publishing research that advances understanding of the practice of sport and leisure management in the public, voluntary and commercial sectors, internationally. It will appeal to anyone with a serious interest in contemporary sport and leisure management issues, including academics, managers, consultants, politicians and students. One of the key objectives of the journal is to provide a high level forum for communication between academics and practitioners of sport and leisure. Therefore, Managing Sport and Leisure aims to be contemporary, integrated and, most importantly, relevant to practitioner training. Contributions are welcome and expected from both academics and practitioners throughout the international sport and leisure management community. In addition, the journal welcomes submissions from those investigating new and innovative areas of research and practice in sport and leisure management. Association Football has always been political, protesting, corruption, nationalism, military propaganda, political symbols, religious messages and more have intertwined with game since its conception. Perhaps, a symbolic example of these bedfellows happened on 13th May 1990, just weeks after parties favouring Croatian independence had won the majority of votes in an election. A riot between the fans of Dinamo Zagreb and Red Star Belgrade was notable for one event. Zvonimir Boban, the Zagreb captain and future AC Milan star kicked a police officer who had allegedly been mistreating Croatian fans. Some argue that this moment symbolically marked the end of Yugoslavia, with a devastating Civil War following soon after with many of the protagonists swapping the terraces for the front lines. Clubs, players and fans are enmeshed within politics. Clubs have been born as a result of population upheavals and migration; have been associated with ethno-national and religious communities, political ideologies and parties to name but a few. In the contemporary context, football continues to be tied to political events and symbols. The ongoing migration of people seeking refuge in Europe has witnessed voices raised by football supporters both in support of and opposition to migration, whilst football has been a welcome form of escapism from refugee camps and social isolation on housing estates, it has also be a mobiliser for various factions of populism politics, especially those from the far right of the political spectrum. Racism and anti-racism practices play out on and off the pitch. Broader contemporary international political controversies such as the prohibition of the flag of the Palestinian State or the wearing of symbols such as the British poppy continue to spark controversy among player, fan and political communities alike. Media? Football also manifests at times in artefacts of music and broader popular culture. Football chants for example are a sophisticated socio-political activity, which connect to early forms of communication where humans used music, chant, and dance to bond as social groups. ‘Performance’ also has a unique ability to make difference visible and audible, and songs in particular have been shown to have powerful agency in the negotiation of ‘Self’ and ‘Other’. 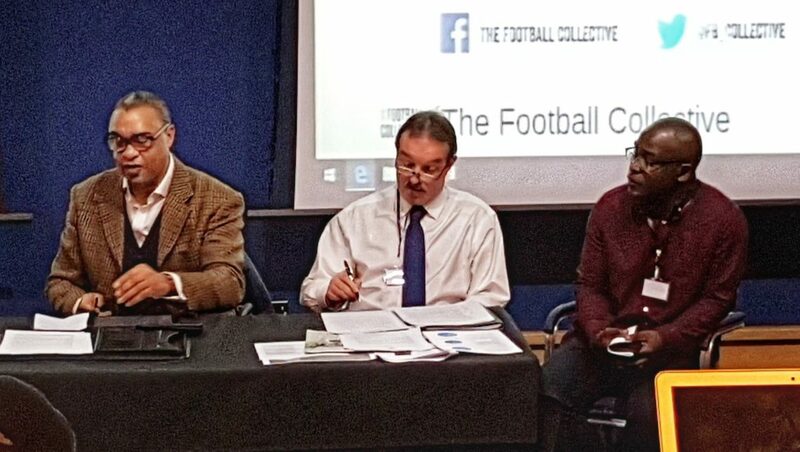 There is a growing body of literature exploring the management, marketing, and governance of association football. The purpose of this special issue of the journal is to provoke a broad, interdisciplinary, and critical discussion about the football politics and popular culture in Association Football (as a form of entertainment, recreational or occupational activity). To move the scholarship in these areas forward we encourage submissions from scholars both inside and outside of the sport management domain (e.g., sociology, social psychology, political science, gender studies, history, social media and fan studies, musicology criminology etc.). We anticipate finished papers to be submitted 17 May 2019 with publication of the special issue July 2019. Previous Partially sighted football? What’s that all about then?